Wandering Walpole: Essentials of Packing....Katie Style. I have had a disease known as over packing since I was allowed to pack my suitcase for vacations on my own. Over packing has been a consistent family joke since I was young. In the dictionary, my name is listed as over packing. WebMD defines over packing as Katie. My disease had become so severe that a weekend away at our lake house requires extra clothes, just in case. Keeping in mind, our lake house is less than an hour away from our home, and I have clothes there as well. College was an entirely different case. I had a moving truck, and I'm proud of it. Believe me, over packing for college paid off every semester. You'd be surprised at the random things I needed (crayons, a hammer, sleeping bag, etc.). As I've noted several times before, when I went abroad for the four months in college, I packed lightly. I came home with more, but I worked very hard to keep both suitcases underweight for that adventure. It paid off as I was more comfortable packing for weekends away and had more room for souvenirs. This time around, I will be checking three very large suitcases. I'll also have a carry-on and a backpack as well. About a week ago, I took over the guest bedroom with the start of the packing process. I decided that rather than spend time packing by ripping my closet apart, I'd pre-fold everything that I would like to take. Creating outfits based upon a variety of different clothing pieces was essential when doing this. Usually, whenever I moved to Syracuse, I could take just about everything I wanted to. If I only wore a sweater once in a while, it was fine. This time, it's different. My piles were of basics (socks, etc.) in addition to scarves (most purchased from the last time I was abroad) to my peacoat. Thus, today, when I started packing, I was able to move throughout the room looking at what I had pulled. No need to rush back and forth between my closet. Today, if you cannot tell already, was the day I packed. I started out putting the toiletries in all three suitcases (double bagging, of course). From there, rather than pack just one, I moved throughout the room adding in things to all of them. One of the things that I have picked up on from traveling is too stuff shoes (including boots) full of smaller items. It seems obvious to do this, but it can be often overlooked. I laid in my peacoat towards the bottom of one suitcase and proceeded to stuff the sleeves. I did the same for my leather coat. With several of my dresses and silk blouses, I did the roll-method, but was able to place a few smaller shirts between them before the roll. Overall, I was able to get just about everything that I wanted to take with me. A combination of relaxation clothes (new pjs! ), clothes for classes, and business attire was packed. One of the nice things is that I'll be able to rotate any clothes at Christmas, if I get tired of them. I packed the essentials- practical for the weather, comfy clothes, and, fashionable as well for London. The only things left to pack are my carry-on and my backpack. My rain boots snuck into my carry-on suitcase as they weigh a bit too much. Yet, I'm stuffing them full. I've got the majority of the carry-on suitcase done with just a few minor things left to add in. Moving into the final week, I can make sure that I have everything that I absoltuely need and make sure I did not forget something! 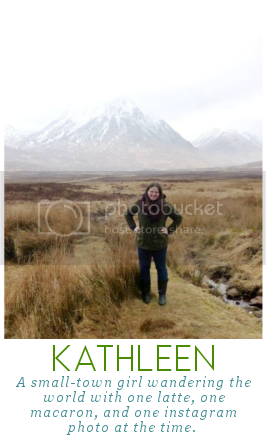 Recent reviews by Kathleen W.